The shares of Samsung Publishing Company, an entity unrelated to Samsung) surged by 30% on Wednesday. The reason for such a rise in the stock price was the company’s stake in a song that has gone viral on YouTube. Samsung Publishing Company has a 25 percent stake in SmartStudy – a global entertainment company. SmartStudy’s division Pinkfong produced the song titled “Baby Shark” which has remained in the Billboard Hot 100 chart for the second straight week. 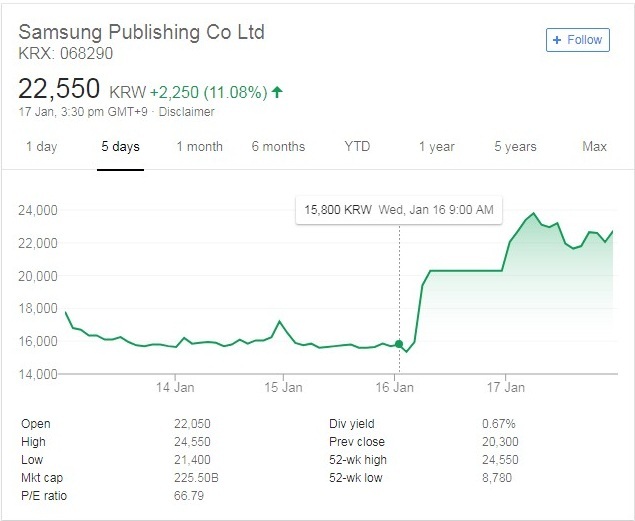 Samsung Publishing Company was at 15,800 KRW at the beginning of trade on January 16 at 9 am and ended at 20,300 KRW by the end of the trading day. 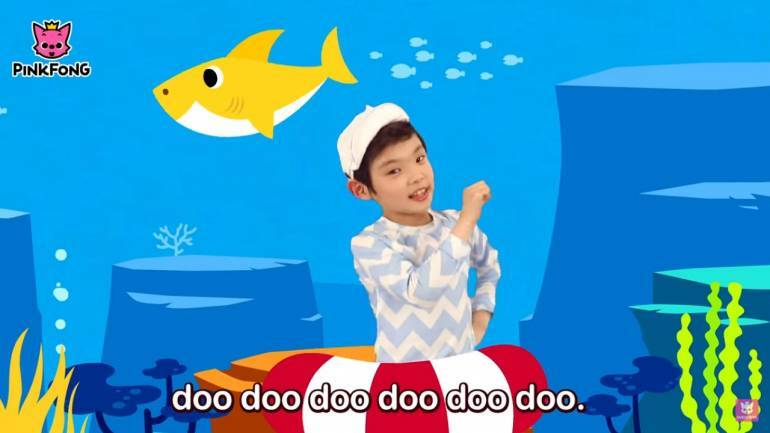 The song is a kids’ song and has very simple lyrics like ‘Baby Shark doo doo doo doo doo, Mommy Shark doo doo doo doo doo”. The song, released 3 years back, has more than 2 billion views till date. The company is now planning to expand its kids-oriented entertainment business with short videos on Netflix, a cartoon series and a musical in North America this year. Pinkfong has many other songs based on animals, and the company has already announced that the next song will be based on Penguins. ← WWE News: Did Monday Night Raw manage to increase its viewership with Finn Balor’s win?